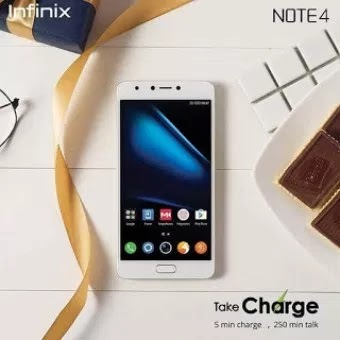 Some persons who have already upgraded their Infinix Note 4 to Android 8.1 Oreo recently are complaining about bugs such as slow battery charging, battery draining fast among others. The most painful is the X-charge which is not working properly. So if you think you can't cope with these bugs from the Note 4 Oreo update, or you can't wait for Infinix to push for another update that will probably fix it, then you should consider downgrading to the previous version which is Android 7.0 Nougat. Recall in my previous article on ways to upgrade to Android 8, I recommended that you should have a backup of your previous firmware in case you decide to revert back. However, those of you that don't still have the backup should use the stock ROM Firmware provider here on this post for that purpose. NOTE: You have to download the Infinix Note 4 stock rom based on your phone built number before you upgraded otherwise you may brick your phone. Select ‘show all devices’ and click next. Select Mediatek preloader usb vcom driver and click next. A progress bar should start running. The phone will be downgraded on booting-Make sure you don’t tamper with usb at this point. Close the flash tool on your computer and disconnect your smartphone from the computer after the above confirmation. Finally go to settings>about to confirm that your Note 4 is running the stock rom you have downloaded. That's how to downgrade your Infinix note 4 back to Android Nougat. Do well to share this post and drop your comment below if you encounter any problem or error. Thanks.